Harlem Girls Club head to SoHo to visit the Huffington Post! 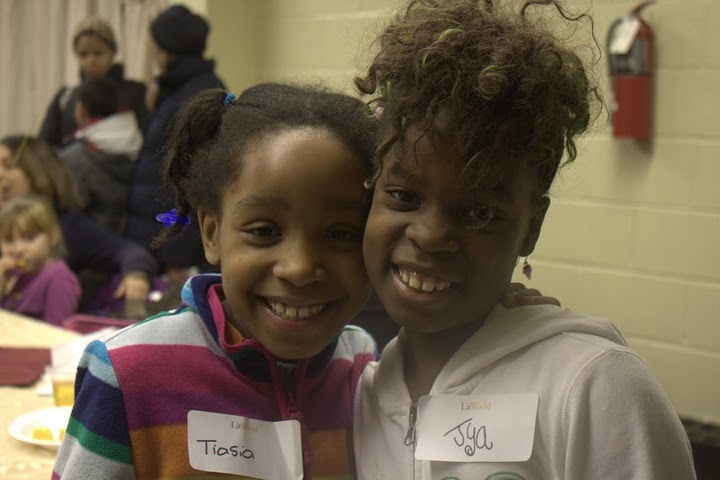 The Harlem Teen Girls Club and a couple girls from both Tuesday and Thursdays Younger Girls Club at Polo Grounds ventured to SoHo to visit Arianna Huffington’s work place, The Huffington Post. In December, Arianna graciously stopped in to visit our girls, so it was their turn to visit her place of work! Then, once we arrived at the Huffington Post, her friendly staff greeted us with a warm welcome, and the adventure automatically began. We were given a tour of the website by one of Arianna’s editors, Grace Kiser. The girls not only learned how vast the website was, but also where it started, how it grew, and how they could get involved. We were then shown the offices, and this began with the most important office of all, Arianna’s. The girls were amazed with the colors and art that filled her workspace. But what amazed them the most was the picture of them from December, when the great lady herself visited the Polo Grounds. Along the tour we met different staff in different departments. This helped the girls fully grasp how much work actually goes into the Huffington Post. The tour ended with a token of tort bags and notebooks. Thank you Arianna and her WONDERFUL staff for inviting us! 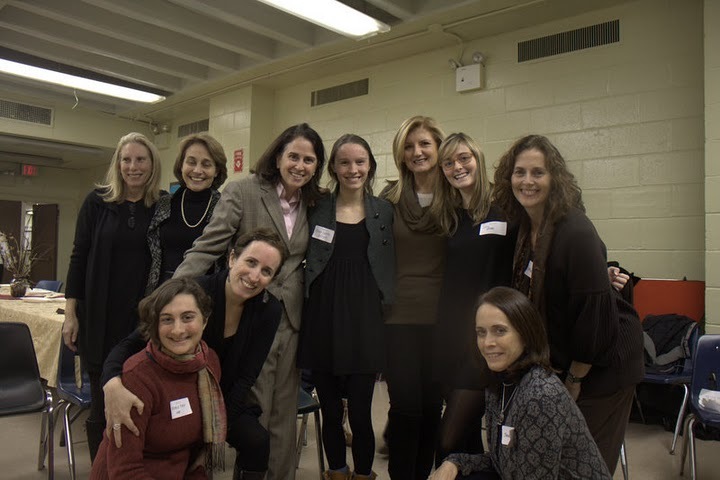 LitWorld Girls Club Harlem Meet Arianna Huffington! 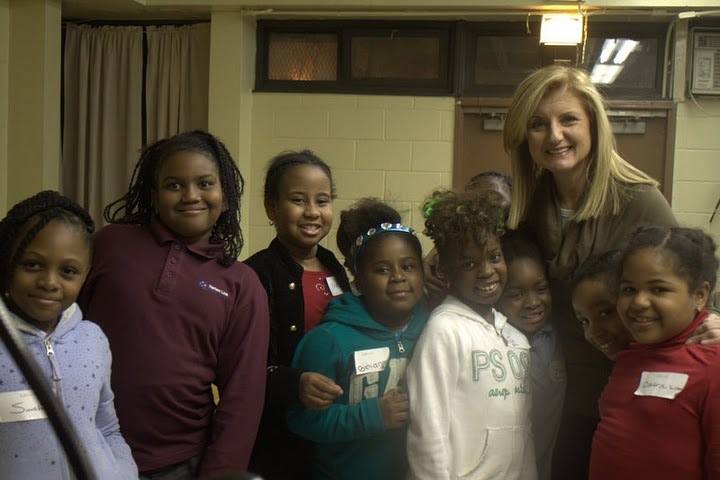 Earlier this month, the LitWorld Harlem Girls Clubs had the pleasure of meeting Arianna Huffington. 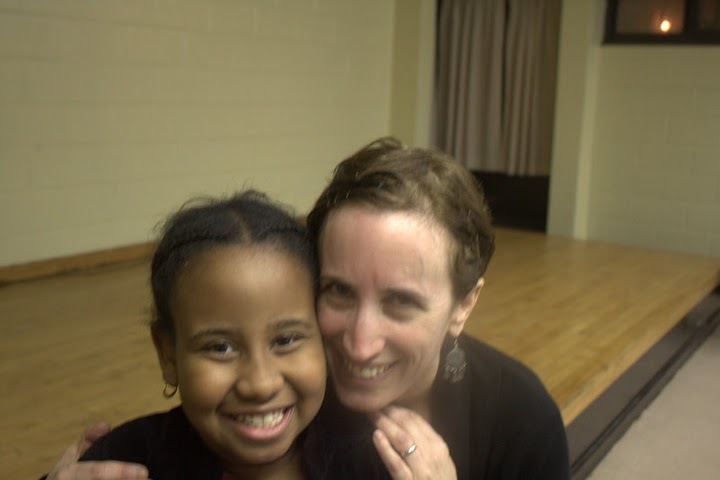 Ms. Huffington's warm spirit was so inspiring and contagious, that the younger girls wouldn't leave her side! She was elegant, welcoming, and approachable all at the same time, a demeanor that many of the teen girls admired. She listened intently to the girls' stories, and shared her own. She offered stories of courage and fearless pursuit of dreams, and, joined by our Executive Director Pam Allyn, they both reminded us all of our power to become the best women we can be. The girls connect "Belonging" to Langston Hughes "My People"
It's amazing how a poem brought a room full of girls together on some many different levels. Focusing on belonging, Kristen and I read the poem entitled "My People' by Langston Hughes to the girls. They seemed to be intrigued at the idea of what "my people" meant. Some thought the poem referenced African American people, others thought it referenced a family. We touched on the idea that "my people" could be your family, friends, people from your country or someone who lives next door to you. The point was to allow the girls to resonate that "their people" could be anyone they felt they belonged to and connected with. It was interesting to hear Ayana say "my family is from Trinidad" and Sunshine reply "my family is from Trinidad too"
All of the girls are definitely inquisitive and always take each session beyond where the curriculum has intended to go. The spontaneity of their questions and responses, always makes for an interesting session. That is the beauty of girls I guess, we always push the limit. 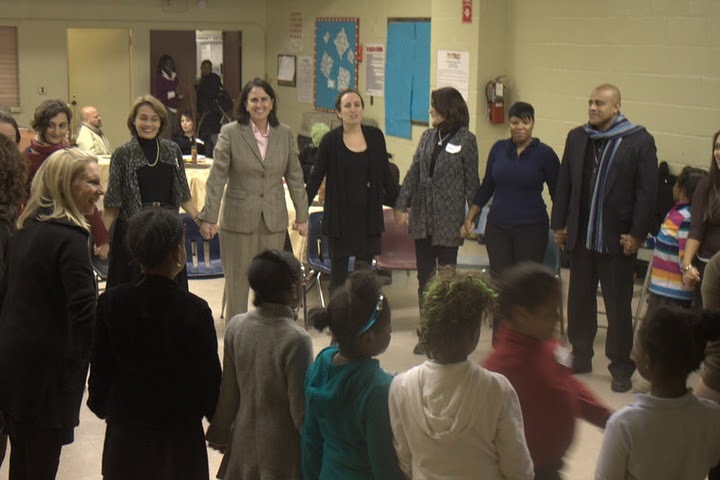 The Children's Village has finally kicked off the the girls club in Harlem! After much anticipation and preparation the girls will now have their voices and thoughts heard along with others around the world. There aren't enough words or phrases to express my excitement of facilitating the program for girls in our afterschool program. Going into it, I wasn't confident that my persona as the "drill sergeant" of the program would be able to keep the girls engaged, so I won them over with snacks. Nothing soothes the soul like delicious grapes, stawberries, cookies and juice. The girls loved them. The girls received composition books that will be used to jot down notes and complete assignments. They came up with ground rules for the group and learned interesting facts about one another. Some of the interesting facts were Arianna has a dog named "Shayla" and Jayla has a dog named "Seven" the girls will later be quizzed on the things they learned about their peers. Overall the girls loved the first session and are extremely excited about the future ones. Many remarked that they wanted the program to run two days a week. Ideally, two days a week would be great; however, my schedule doesn't allow for me to run the program at that frequency.